As I look through my wardrobe I realise that one item of clothing that is completely second-hand is my coat collection. I didn’t intend to buy all my coats from charity shops. In fact, I think that buying a coat is one of the most expensive and well-thought purchases you can make. In times gone by, I would have saved up for a winter coat (or asked for it as a birthday present) and it would have lasted me a good three-five years. 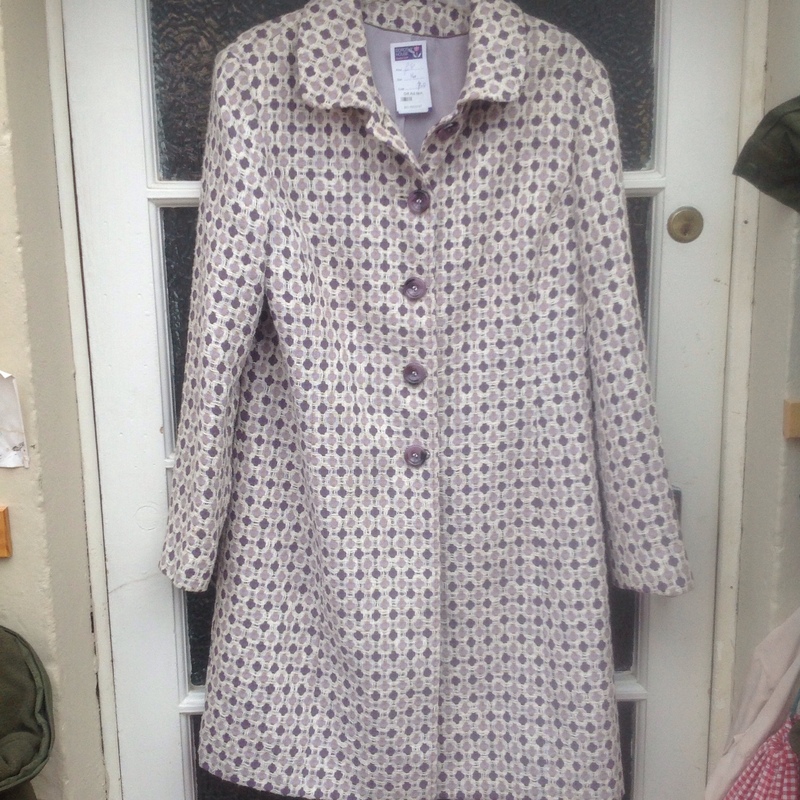 This Sainsburys coat still had its price label and was on sale at the Shaw Trust charity shop in Bath. 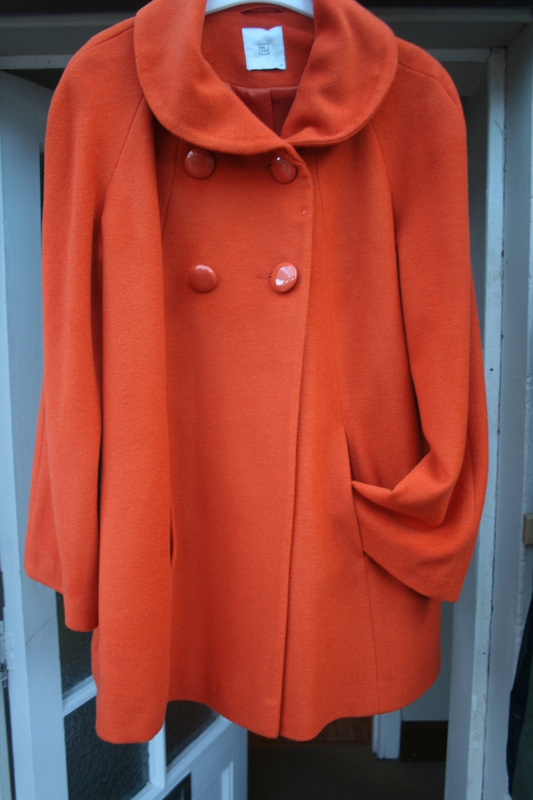 While I hadn’t intended to buy a second-hand coat, the colour and cut was irresistible to me. The fact that it had never been worn was also a bonus. Four years later I am still wearing it and still get lots of comments – and compliments – on the colour! I got this red M&S jacket for free from a Clothes Swap party I helped to organise a few years ago. It serves really well as a light summer jacket and I do love the colour! This year I have, already, purchased two new (to me) coats. The black hooded coat is the only second-hand coat I have deliberately hunted for. After a bit of a search in Bath’s charity shops, I found it in Dorothy House for £15. 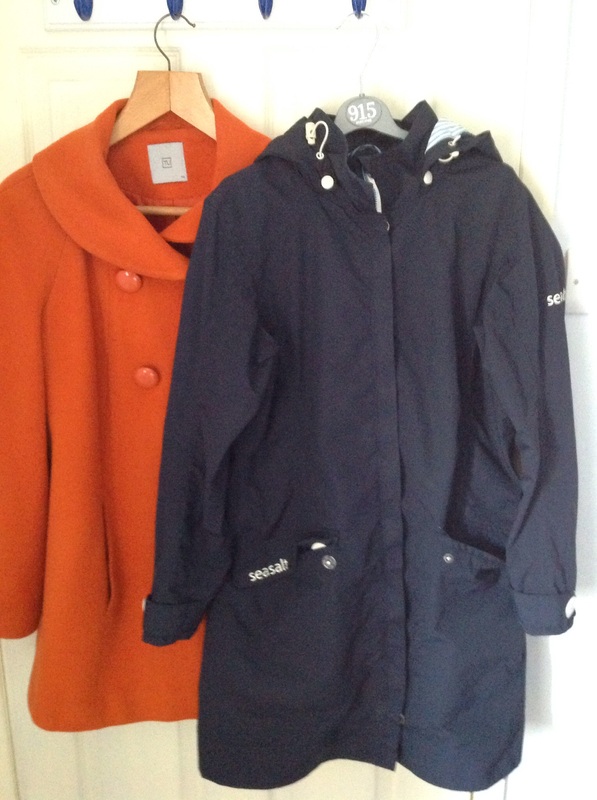 It was warm enough for a cold and rainy weekend in Birmingham and is my new school run/wet weather coat. 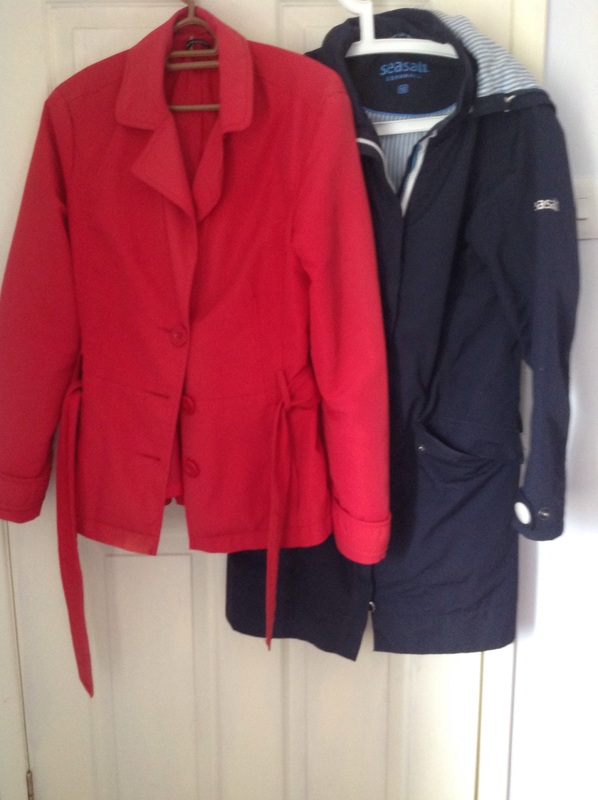 I can’t imagine going back to spending £80-£100 on a new winter coat, now that I have fallen for the charity shop ones …. The low price and originality of each item really appeals to me. And, if I do outgrow an item I can just donate it back. 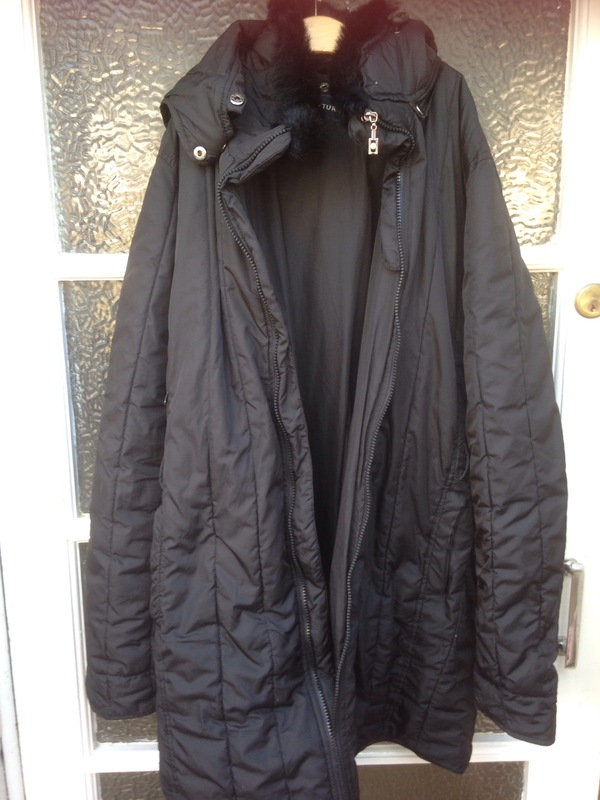 Do you buy coats from second hand stores? Or do you think it’s worth the investment to buy a brand new one that will last for many years? That’s an impressive coat collection you’ve got there! It’s amazing what lovely clothes can be found in charity shops if you look. Last year I bought a beautiful purple Boden coat from a Dorothy House shop, it looked like it had never been worn and I love it. have some gems in its shops but the pricing does seem to vary from shop to shop. Now that I’ve discovered the one in Weston village I shall be stopping by again…. All my coats have been first-hand but that’s just because of the way it’s worked out. You could take a coat to the tailor to have a new zip put in, although that would probably cost as much as buying a ‘new’ coat from a charity shop. I actually need to do that with two of my coats and for one it would definitely be worth the £16 to have it done.